While everyone is going crazy over pumpkin spice everything, I am over here just waiting for the peppermint mocha. The first sighting of it in the stores gets me all giddy with excitement. 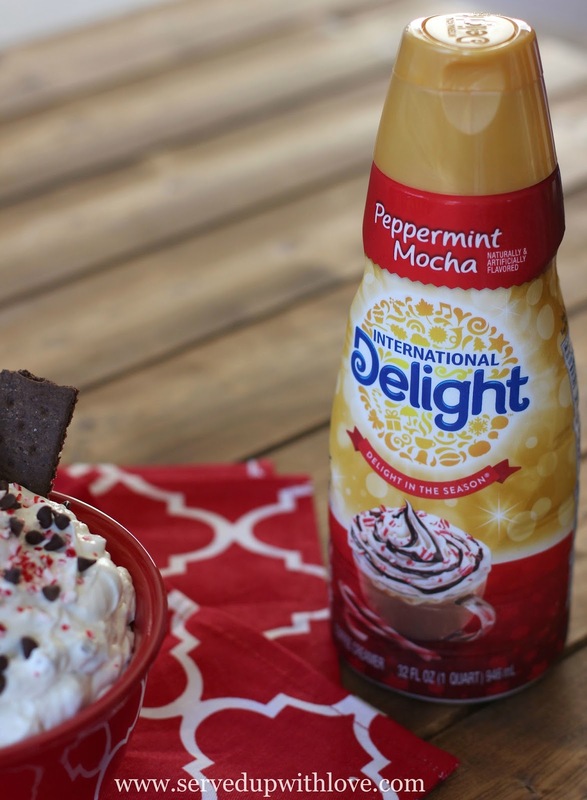 I almost started to do a dance when I broke around the corner in and saw the International Delight® Peppermint Mocha Coffee Creamer just sitting there waiting for me! Thankfully, there wasn't anyone in my way to knock over to get to it. It was located in the dairy section in our local store and in a special display so I was sure not to miss it. Every Christmas season my two sisters and our mom get together and go Christmas shopping together. It can be quite crazy with all of us wanting to go in different directions but we always find a way to make it work. Since we are all older and have our own children it is harder to get together with just us girls. That is what makes this shopping trip even more special. A must to make it through our marathon shopping trip is to stop and grab a cup of peppermint mocha. It is just something about hanging out together over that cup of coffee that made the day even more special. 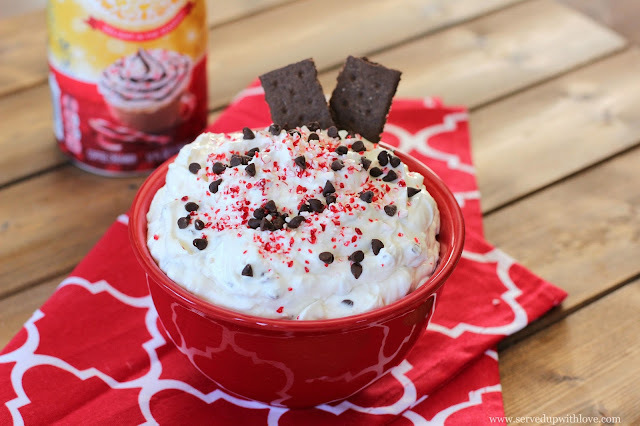 As I was drinking my morning coffee I started thinking about what else could I make using this flavor and I had a light bulb moment - Peppermint Mocha Cheesecake Dip! 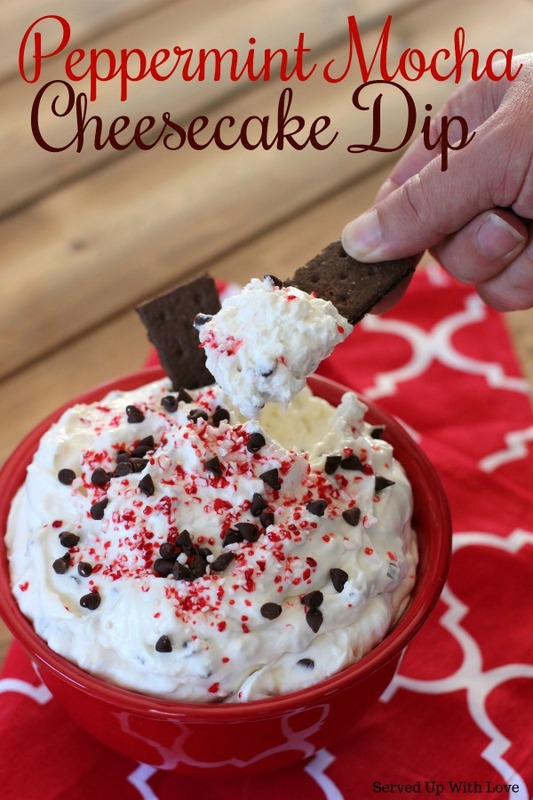 Peppermint Mocha Cheesecake Dip comes together pretty quickly. Making this a great dip to serve to company that just happened to stop by. Besides, is there anything better than sharing a cup of coffee (and this dip!) with your friends and family? 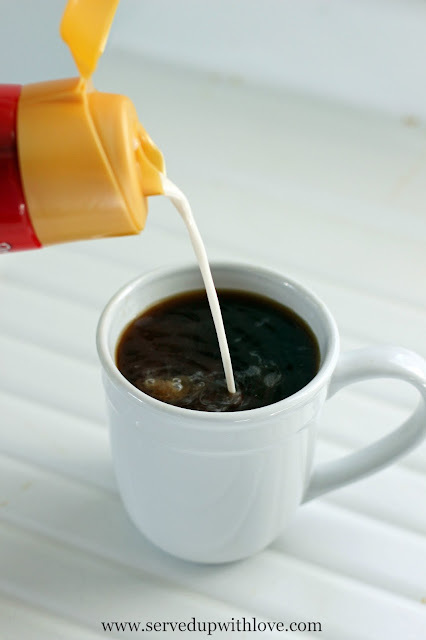 I am a cream and sugar kind of gal. I would love to know, how do you enjoy your morning coffee? The party dip for the holiday season and it is so good, it's INSANE! Mix cream cheese, creamer, and marshmallow creme with a mixer until combined. 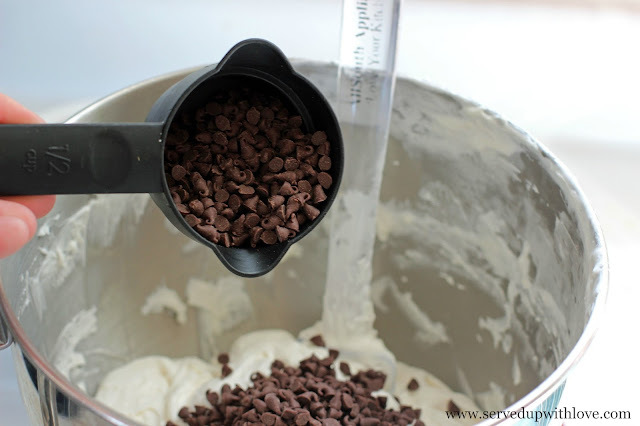 Fold in whipped topping and add mini chocolate chips. 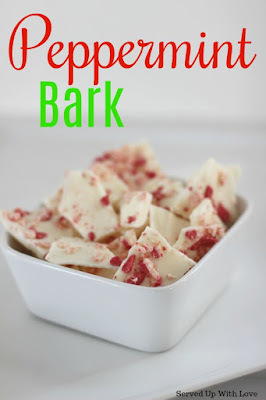 Serve with chocolate graham crackers or pretzels.